While Captain Marvel is the first female-led Marvel movie, there’s also something else special about the movie. Captain Marvel is the first Marvel movie since the passing of comic book legend Stan Lee. Stan Lee passed away on November 12th, 2018. Mere months before the release of Captain Marvel. With this being the first movie since Stan Lee’s death, Marvel did a special tribute to him as the movie started. Instead of the normal comic book heroes being displayed as the movie starts, Captain Marvel opens with an homage to Stan Lee. It was touching. It was sad. And it was fitting. Great leaders and organizations know their leaders are a large part of their success. They also know they must be willing to recognize those leaders, in the present and in the future. Know the leaders who have passed or gone before you are the stepping stones to your future success. Look back on them fondly. Recall their successes. Pay respect to their works. Carol Danvers was having trouble sleeping. She would have dreams about her past that she couldn’t decipher. This led to many sleepless nights. Carol found a way to deal with her sleepless nights. She sought out a sparring partner. This partner was Yon-Rogg (Jude Law). He would train her. He would train her. And he helped her walk through the dreams she kept having. Carol found a unique way to deal with her problems. What unique ways can you find to work through yours? Whatever you do, you need to find a way to work through your problems. You can’t ignore them. You have to find a solution. Yon-Rogg, Captain Marvel’s mentor, saw she had doubt. He knew doubt caused many issues, especially for a warrior like her. He called Captain Marvel out on her doubt. She had to get better before she could be truly effective. Many leaders battle with self-doubt and their ability to get things done. 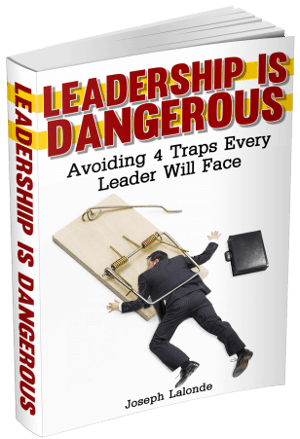 This doubt can damage your ability to lead effectively. One way to battle doubt is to look at what is causing you doubt, examine why you feel doubt, and then working doubts overcoming the reasons you see. This will help you become more confident in leading. While we learn later on why Yon-Rogg was training Captain Marvel, he had some pretty solid leadership quotes. This is one of those. Yon-Rogg was looking for Captain Marvel to become the best version of herself. His reasoning was selfish. But his desire was something all leaders should aspire to. Great leaders know their people. They also know there’s a better version of their team hidden just below the surface. As a leader, you will work towards uncovering the best version of your team. You will help them pursue their talents and abilities. You will work with them as they struggle and grow. More than anything, you will cheer them on to become something better than they once were. You have a mission. Serve well and with honor. Captain Marvel met with the Kree Supreme Intelligence. The Supreme Intelligence takes on a form that is important to the person it is meeting with. In the Captain Marvel movie, the Supreme Intelligence takes on the form of Captain Marvel’s former mentor, Dr. Wendy Lawson from the Pegasus Project. The Supreme Intelligence tells Captain Marvel she has a mission. She needs to serve well. She also needs to serve with honor. This is a message every leader should heed. Great leaders know they have a mission. They also know they must serve well and with honor. Reflect on your leadership journey. Are you leading well and with honor? If not, it is now time to correct course. If you are leading well and with honor, continue leading well. Minn-Erva (Gemma Chan) is a Kree sharpshooter. In one battle, Minn Erva shoots once Skrull and the shot continues to hit other Skrulls. Her one shot took out multiple enemies. She used one action to accomplish multiple goals. While I don’t believe in the ability to multi-task, I do believe you can do one thing that will help you successfully attack multiple projects. Much like Minn-Erva’s multi-kill one-shot, you can hit multiple projects with one task. Look at the projects set before you. See what tasks lay ahead. Begin seeing how these tasks overlap with one another and how you can tackle multiple projects with one task. You will be surprised at how many projects have overlapping tasks. These tasks can be completed once but help you successfully tackle parts of multiple projects. During a battle, there was an escaping Skrull. The Skrull turned to Captain Marvel and began to snarl at her. Do you know what Captain Marvel did? She didn’t run. She didn’t cower. What she did was turn towards the aggressive Skrull and snarl back. She showed she wasn’t afraid. This helped to change the tide of the fight. Leaders will face opposition. Some of the opposition will be valid. Then there will be those who attack you because of your position. Be willing to stand your ground. Don’t let people intimidate you into doing things their way. Captain Marvel brought back S.H.I.E.L.D. agent Phil Coulson (Clark Gregg). He hasn’t been seen since his death in the first Avengers movie. He was able to be seen in Captain Marvel because Captain Marvel takes place before most of the Marvel Cinematic Universe movies. We also see a young version of Nick Fury (Samuel L. Jackson). Phil Coulson and Nick Fury are partners in Captain Marvel. They were also some of the first responders when Captain Marvel crashed into a Blockbuster Video store. Upon questioning her, Captain Marvel told Nick Fury the Skrull aliens could shapeshift. Nick Fury asked a relevant question. How could he and Coulson know whether or not Captain Marvel was a Skrull. When you’re faced with a challenge, you need to know the right questions to ask. You have to ask questions that are relevant to the problem at hand. Are you asking relevant questions? Or are you asking general questions? Seek to know what you need to know. Nick Fury had never dealt with an alien autopsy. He saw his first autopsy on a Skrull in Captain Marvel. This shook him. The mental image of a Skrull laid out for an autopsy was something new. The image seared into his mind. He wouldn’t be able to unsee the alien autopsy. Leaders will be challenged by what they see. Team members may betray you. You may see hurt and pain caused by a bad business decision. Or you may see personal struggles you never knew people faced. As a leader, there will be challenged and hard situations you will see. Brace yourself. With the introduction of the Skrulls to the Marvel Cinematic Universe, knowing who to trust has become a lot more challenging. The Skrulls are a race of aliens who can take the shape of someone they have seen. The Skrulls use this ability to blend in and surprise their enemies. You will see multiple S.H.I.E.L.D. agents impersonated by the Skrull. There are also other aliens and humans that the Skrulls shapeshift into. This makes knowing who to trust in the movie hard. You, and the characters in Captain Marvel, are unsure of who is a Skrull and who isn’t. Trust is hard! Leaders will face a similar challenge. There will be people within your organization that will blend in and appear to be helpful. These people may not be trustworthy. While trusting people is a requirement of a leader, you will also have to question the loyalty of some people. Watch out for those who are out for themselves or other organizations. They may be hiding in your organization. Maria Rambeau (Lashan Lynch) was a friend of Carol Danvers. Carol believed in her and believed she could become a great pilot. Carol stood beside Maria as they both attempted to become female pilots. Her support encouraged Maria. It also helped her feel like she could become a pilot. It is your role as a leader to help support and encourage your team. You will be tempted to let them do their own thing. But you can’t. Your ability to support your team will encourage and direct them to new, powerful paths. Be a leader who supports others. Captain Marvel had trouble remembering her past. Her memory problem stemmed from a plane crash with Dr. Wendy Lawson. The crash erased many parts of her memory and she struggled to remember her past. Yet, ever so often, she would see parts of her past. Most of the memories were of failures. She saw herself as a child racing go-karts and crashing. Then there was a baseball accident. Lastly, there was the plane crash. There was something missing from these memory fragments. The seconds and minutes after the accidents. When she regained the missing pieces, she realized she was powerful. The missing fragments of her past showed her she always got back up. She wouldn’t stay down. She couldn’t stay down. Great leaders know they will face adversity. They will face failure. But one thing they will always do is get back up. Leaders may wobble. They may get knocked down. But they also get back up. Captain Marvel finally realized a powerful truth. She had nothing to prove to anyone else. She didn’t need to work for the approval of others. It can be easy to get caught up in the political and organization politics of proving yourself to others. You may believe you have to show yourself to be better than someone else. You don’t have to. Towards the end of Captain Marvel, Captain Marvel gave Nick Fury a communication device. Viewers of Avengers: Infinity War saw Nick Fury use this device in one of the end credit scenes. Avengers: Infinity War took place over 20 years after Captain Marvel. This means Nick Fury held onto the communication device for over 20 years! He had the ability to call in one of Marvel’s most powerful superheroes before but he waited. He waited to use a strength he had. But sometimes you don’t. Sometimes you hold back using a strength because it isn’t the right time to bust it out. Know there will be times when you will decide to withhold using your strength. Not because you can’t. But because it’s not the right time. Question: Have you seen the new Marvel movie Captain Marvel? If you have, what leadership lessons did you take away? 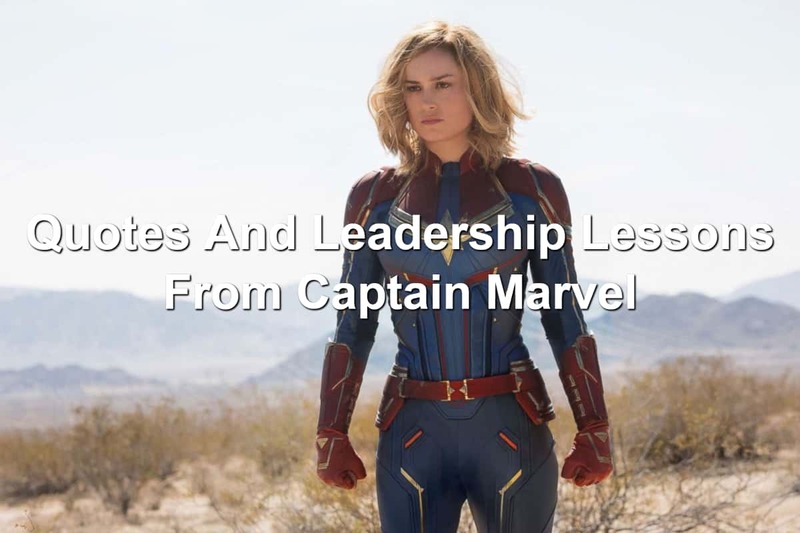 If you haven’t seen the new movie, what Reel Leadership lessons from Captain Marvel that I shared resonated with you? Let us know in the comment section below.